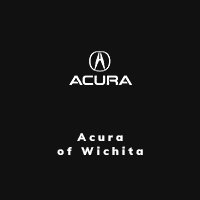 Acura of Wichita is dedicated to your customer-focused experience. The ILX further redefines the compact sport-sedan category. Aggressive styling makes a bold statement, while the high-revving standard 201-hp engine and rapid-shifting 8-Speed Dual-Clutch Transmission turn every road into a driving revelation. Confidence is powered by performance. The 2019 Acura RDX deftly combines spaciousness and comfort with exceptional handling and agility. Armed with a 279-hp i-VTEC® V-6 engine, the RDX is designed to help you power through whatever comes your way. Powered by a 3.5-liter V-6 or 3.0-liter with 3-motor hybrid system, the multifaceted MDX exceeds with greater capabilities, in more conditions, for more passengers. When you come to us for certified Acura service, you can count on receiving speedy, effective service and the quality results you’d expect to see. We purchased a used Mazda for our daughter. Christina and Chelsea provided excellent customer service and the process was seamless. We were in and out as the new owners of a quality car within 3 hours! Excellent service from Earl Wood during all the process to buy the car. As always, Anthony in the Service Department showed outstanding customer service. He is always friendly and courteous and goes out of his way to answer questions and to provide intelligent recommendations for service. He makes my visits to Acura Service a pleasure. The service is high quality and the prices are reasonable. Strongly recommend Acura of Wichita. If you’re interested in driving a luxury vehicle, then our Acura dealership near Manhattan, KS, is the place to be. The cars and SUVs that we have to offer are some of the finest available. Our stunning selection includes new, used and Certified Pre-Owned Acura models such as the three-row Acura MDX SUV, TLX sedan and RDX crossover. We even sell pre-owned vehicles from other makes for your convenience. Acura of Wichita also has all sorts of Acura financing and lease offers available to help you bring them home. We do more for you than simply sell you a nice new Acura, however. At Acura of Wichita, you’ll find a team of expert technicians standing by to lend you a hand with your vehicle. When you come to us for certified Acura service, you can count on receiving speedy, effective service and the quality results you’d expect to see. We use OEM Acura parts when restoring your vehicle, and we make them available for purchase if you’d like to get some replacement auto parts or buy useful Acura accessories. Our dealership is truly an all-in-one destination. Come to Acura of Wichita for the quality shopping experience you’ve always deserved. We are conveniently located at ​10850 East 13th St. N., Wichita, KS, which means we’re easy to reach for Kansas visitors from Lawrence, Salina and Hutchinson. We’re also close to Enid, OK. Visit us today — we look forward to assisting you!